If you are an avid reader of this blog, you may have noticed that there is often mention of the Generations For Peace Institute (GFPI). So what is the GFPI? 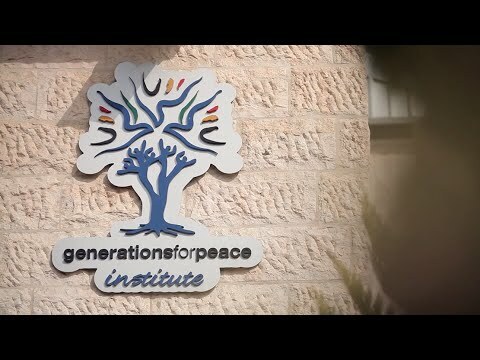 What is the Institute’s exact role in the larger organisation of Generations For Peace? GFPI was established in 2010 as the research arm of Generations For Peace with the agenda of bridging practitioners and academics in the field of Sport For Development. The core activities of GFPI comprise of four key components: Research and Development, Monitoring and Evaluation, Knowledge and Education, and Community Outreach. Research and Development (R&D): The Institute’s larger mission is “to conduct, invest in, and disseminate collaborative cutting-edge interdisciplinary research and best practices, to demonstrate and increase the use and impact of sport for sustainable peace and development.” In order to do this, GFPI not only conducts its own research (carried out by GFPI staff), it partners with universities, organisations and individuals who share the Institute’s vision. The research of GFPI is not only focused on Generations For Peace programmes (exploring programme design, implementation, sustainability and scalability), the Institute is interested in all relevant Sport for Peace and Development (SPD) interventions addressing psychological, social and economic implications. Monitoring and Evaluation (M&E): In addition to research relating to the field of SPD more broadly, GFPI carries out, as well as educates its Delegates and Pioneers on, the Monitoring and Evaluation of its programmes. Remember that traffic light system our Delegates from Lebanon used? That was M&E in action! The rationale behind the emphasis on M&E is for Generations For Peace programmes to achieve greater impact and sustainability, and to ensure that Generations For Peace programming is at the forefront of best practice. Knowledge and Education: In order for GFPI to carry out its ongoing R&D and M&E, the Institute provisions research grants and scholarships to junior and senior researchers to advance its knowledge on its own programming, and on the field of SPD more broadly. These researchers are drawn from the various partner organisations with whom GFPI works: including, the University of Oxford and Georgetown University. Check out our previous posts on the research conducted by our Oxford Summer Field Researchers to see how these partnerships work in practice. Community Outreach: The research produced by GFPI and its partners is ultimately disseminated in a variety of formats with tailored information for different audiences, through publications, events, and online platforms. This dissemination of knowledge to practitioners, academics, and possible funders, intends to both contribute to, and encourage further research in the field of SPD. Over the last two years, as Generations For Peace has expanded to include advocacy, art, dialogue and empowerment (alongside sport) as vehicles for peace building, GFPI has followed suit with the scope of its research. GFPI may have been established as an institute focusing on SPD, but today it focuses more broadly on the fields of peace building and conflict transformation.